I rolled over in my cosy warm bed on Saturday morning and no more wanted to muster up the energy to get myself up and go run the 5km Run that I had signed up for. It would be my first race in nearly two and a half years, after completing my first marathon in May 2013. Since then I had stopped running until recently and horsed on another 3 stone on top of the excess 6 stone I was already carrying and had well and truly parked up any notions of maintaining a healthy lifestyle. I was whimpering to myself on how I wasn’t ready, that I’d only gone out running once this week and was STILL on week 7 of a 12 week training plan that I had embarked on over 3 months ago!! LOL! I did remind myself however that on that one run I had completed this week, that I had made a massive unexpected improvement by being able to run non-stop for 20 minutes before I needed a 30 second walking break and then continued on running for another 5 minutes (the run before that saw me reach 14 minutes before needing a walking interval). So I acknowledged the progress and it dawned on me that I was nearly a stone lighter now than what I was on marathon day and over 50lbs lighter since I started running again this year. I was feeling a bit overwhelmed when fastening my race number on the front of my t-shirt and the panic cranked up a gear. What if you trip only a few feet from the start line because you’re so slow and the other runners are rushing to pass you out? What if you fall in a panting heap half a mile in? You know you are desperate on hills so what about the hills? What if you get disheartened half way through, start sobbing and stomp off the course in miserable frustration? I had all these dramas starting to mushroom in my mind as we made our way to the start line. It would have been handier to go back to the car. It would have been easier to have chosen to stay in bed scratching myself!! 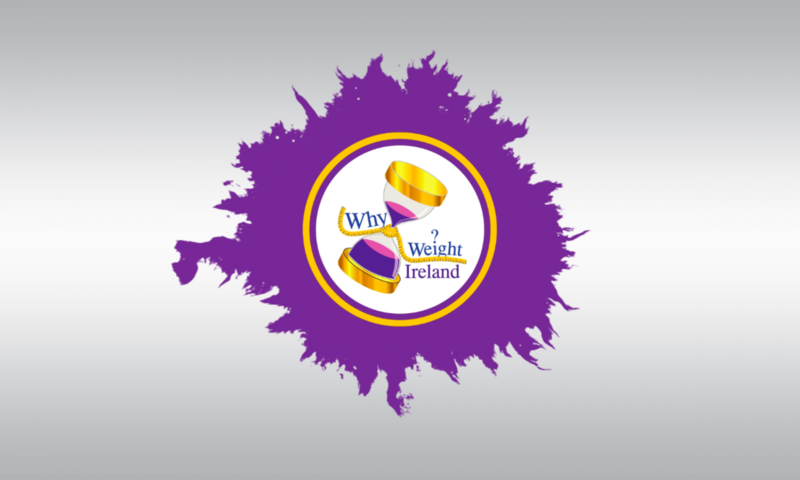 I pulled myself together, enjoyed the giddiness of fellow Why Weight Ireland members by my side and we were off! I have to say, crossing that start line felt incredible. I suddenly felt pumped. Oh, the sweet release when I can stop tormenting myself with doubts and can just surrender myself to experiencing the moment as it is and feel sublimely liberated. I stopped talking myself down and allowed myself the freedom to look forward to what was ahead with enthusiasm. I was thankful to be a runner, grateful to be taking part and excited to seize the opportunity to stretch myself and show myself what I could do. I petted myself with the realisation that the initial part of the run was all down hill 🙂 I paced myself and knew not to tear off too fast, that the plan was to push and see how long I could run non-stop before needing a walking break and to cross that finish line. Most of the race was through a forest, which was a novelty for me and it was incredibly beautiful. I kept wanting to stop and take photos but motored on. I kept my pace steady and chose not to look at my Garmin at all, choosing to enjoy the run and stretch the limits of my endurance that little bit more. The little hills and inclines ensured this! 🙂 It felt like I would never reach the half-way point when I could turn around and make my way back towards the finish line. It was hard-going now and I promised myself I could treat myself to a walk once I reached the half-way mark. Runners ahead of me were now passing me on their way back and that was a reassuring sign that I was nearly there. I loved how friendly everyone was, exchanging smiles between us, “thumbs-up” and words of encouragement. It was another Why Weight Ireland member’s first race in about a year and she had been nervous too. She was way ahead of me and when I saw her running towards me on her way back, flying it too, I was thrilled for her and this gave me great motivation to stay going myself. FINALLY I could see the steward at the half-way point, surrounded by ferns but a most glorious beacon and I was so looking forward to slowing to a walk. When I reached him though I slowed to walk only for a few steps until I could get around him and then decided, like the tiger that I am, to stay running and give it all I’d got! I really wanted to step out of my comfort zone while I could still run and really test my mettle. I still hadn’t looked at my Garmin so didn’t know how long I had been running for and decided that I really wanted to make it to the car park back at the entrance to the forest and then walk for a bit, in anticipation of the manically tough hill back to the finish line. I stayed going. It was a laboured slog and there was a sense that even though I was battering away at it, that I wasn’t actually moving, that I was running in the wrong direction on one of those travelator things at the airport! Eventually I realised I was soon to emerge out of the forest and a well-deserved walk ensued. I checked the Garmin. I had just run non-stop for 38 MINUTES!! I was euphoric and marvelled at what I had just achieved when I had chosen to unwrap what I was capable of. When I had started back running at the beginning of the Summer I could only run for 30 seconds before I needed to slow to a walk. Now I am nearly 4 stone lighter, stronger and fitter, owning my potential and allowing it to soar. 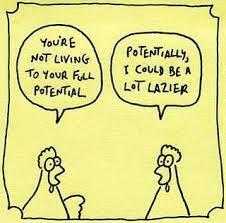 It’s one thing to recognise you have potential but will you choose to OWN it? While sitting on the couch you can plan loads of success stories for yourself but it is in actually taking ACTION, putting one foot in front of the other to realise and OWN your potential for manifesting magnificent achievements for yourself. It is a daily committed decision that takes pluck, fortitude and resolve. We can be liable to cover up what we are capable of, succumbing to the ease and comfort of the familiar instead of drilling down and excavating what lies buried within us to reveal all our glorious gifts and innate apptitudes. We all have an inner greatness within us, but if you sleepwalk through your life and not wake up to all the incredible magic and hidden treasures within you, well then they will be wasted and will die with you. Reveal what lies dormant within you and do not take it to the grave with you. 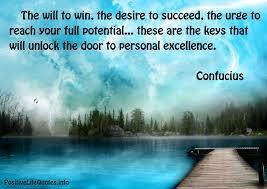 Give yourself permission to find out what you are good at, what you excel at, what you may be exceptional at. What gives you energy? What bewitches and fascinates you? What feels good? What drives you? When you focus your attention on not feeling good enough or the fact that you may fail, you are not leaving yourself much energy or enthusiasm to look inside yourself and discover what makes you really come alive. It is incapacitating to your soul when you tell yourself and live your days as if you are not good enough. Embrace being imperfect, liberate yourself to make mistakes, take it at your own pace and give it all you’ve got. 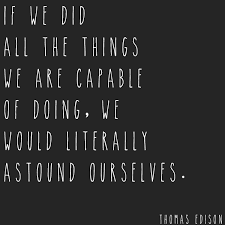 Astound yourself. Realising your potential means welcoming where you are right now and then choosing to take action to move yourself forward, to learn and to grow, to experiment and explore. Choose the path that takes more work, it can be a struggle at times but struggle is part of authentic growth and will help you look for you until you find you. Imagine all you would be capable of if you would give yourself permission to own your potential? I’ve lost a glorious 4lbs this week bringing my total weight loss over 22 weeks to 3 stone 12lbs (54lbs). My BMI has dropped over 10 points from 46.8 to 36.6 which is both a delight and a relief. Only 79lbs to go now!! Please find below more tasty recipes that we enjoy at home and encourage me to eat healthily and help to ensure I engage with my healthy lifestyle campaign with enthusiasm and eagerness. Enjoy! This recipe is from Easy Food Magazine and one of my favourites to make. 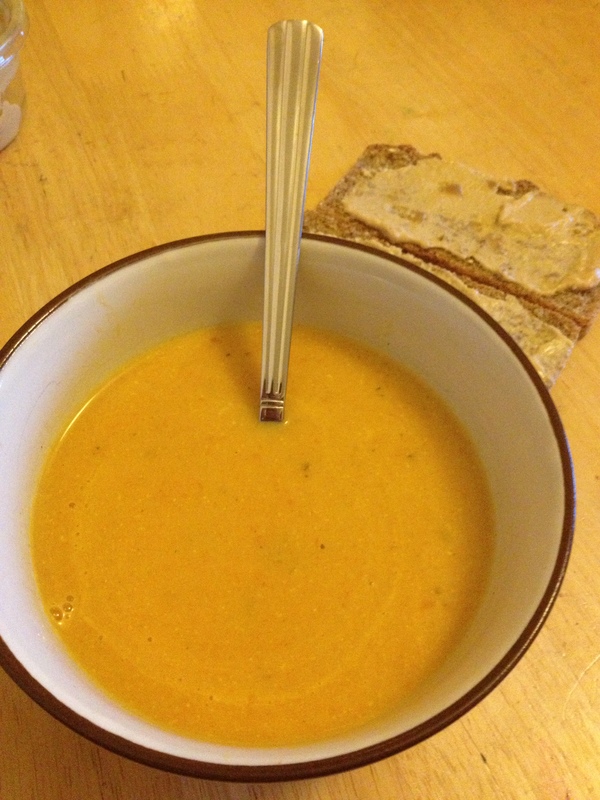 It is full of flavour and if you love the taste of coconut as I do well then this a soup for you! This batch serves 4 with 154 calories per serving. Mix the carrots, onion, fresh ginger, curry powder and stock in a saucepan over a medium heat and simmer for 25 minutes until the vegetables are tender. Purée with a hand blender until smooth or transfer to food processor and blend until smooth. Pour the soup back into the saucepan and stir through the coconut milk. I would shake the can first and stir the coconut milk while in the can first before pouring as I have found sometimes the milk can have separated. Heat the soup through, do not let boil, and season with a little salt to taste. Pasta and cheese are always a drool-inducing combination for me so I love this dish. The recipe is adapted from an “Eat In” Magazine recipe where I have halved the suggested pasta amounts and left out the oil altogether to cut the calorie count way back. Served with a mixed salad this is a glorious meal to enjoy. Calorie count for the pasta bake serving on it’s own is 400 calories, for the plate as served above is 474 calories. Enjoy! Cook the pasta as per packet instructions in a large saucepan, drain and return to the saucepan. Squeeze the excess water from the thawed spinach using your hands. I usually place between two tea-towels then and squeeze as well to drain more moisture from the spinach. 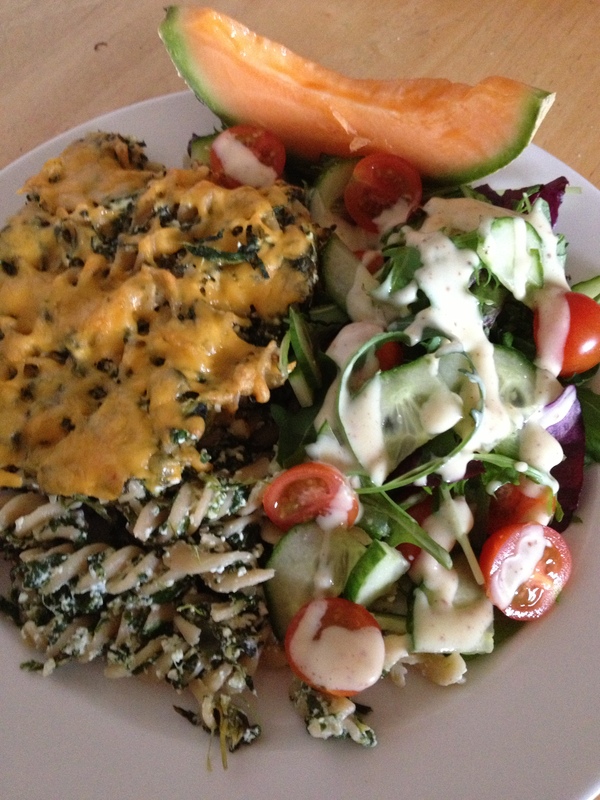 Place the spinach, cottage cheese and garlic in a food processor and blend until nearly smooth. If you don’t have a food processor, mix very well and cut through the mixture with a knife a few times to cut up the spinach a bit. Add the spinach mixture to the cooked pasta and place back over a low heat. Stir continuously for about 3 minutes or until piping hot. Preheat the grill to a high heat. Pour the pasta mixture into a large oven dish and sprinkle the grated Cheddar evenly over the top. Grill until cheese has melted and is bubbling. Leave to rest for about 5 minutes and then serve up with the salad. Enjoy!